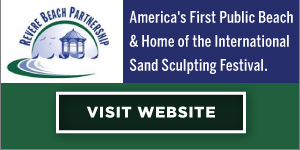 The Revere Beach Partnership was established in October 2001, and was initiated under the leadership of Mayor Thomas Ambrosino along with the guidance and technical support from Save the Harbor/Save the Bay. The goal was to establish a non-profit group to build financial and political support on behalf of Revere Beach in order to preserve its historic character and unique natural features. The Partnership consist of a seven-member Board of Directors to oversee the operation of the organization. 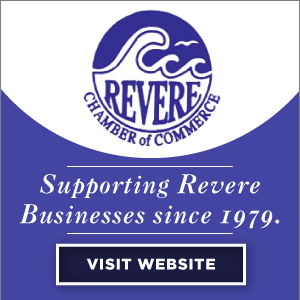 We are a full service modern Chamber of Commerce serving businesses in and around the Revere area.For three decades, our main goal has been to help our members make the most of their business. The Chamber’s Board of Directors is comprised of business people from a wide variety of professional and service industries. Together we strive to identify and respond to business-related issues, to inspire and develop programs, policies and networks that spur tangible business success for our members. 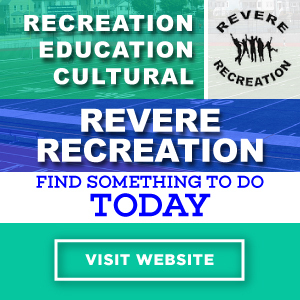 The Revere Society for Cultural and Historic Preservation (RSCHP) is a non-profit, all volunteer organization formed to foster and promote community wide interest in the culture and history of the city of Revere. The Society seeks to educate the community, foster an awareness of the city’s history and instill pride in its citizens about their heritage. It does this through projects that document, preserve and interpret the city’s history. Working with people like Revere historian Peter McCauley and artist Norman Gautreau, the RSCHP has sponsored a number of well received historical presentations and art shows featuring Revere Beach and other historic sites and events of Revere’s history. 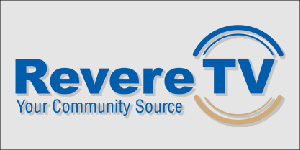 The Revere CARES Coalition works to change the social norms around underage drinking and drug use in Revere, Massachusetts in order prevent substance abuse and to build a healthier community. 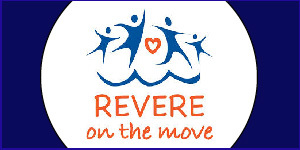 Revere CARES serves as catalyst, convener, and facilitator for community-wide drug and alcohol prevention efforts including community awareness, public policy, education, prevention and alternative activities. 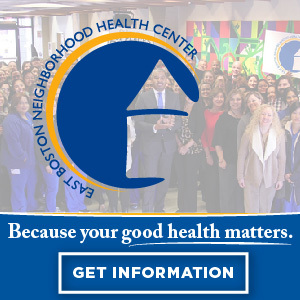 The Coalition has recently broadened its focus, emphasizing the healthy community part if its mission. Expanded efforts will include violence and obesity prevention. Revere CARES operates on the belief that a community that works together to send clear and consistent “no use” messages about alcohol and drug abuse, that offers positive alternative youth activities, and that makes appropriate services available, can reduce youth alcohol and drug abuse. At the end of the last ice age, about 10,000 years ago, the stage was set for the development of the coastal marshes of the northeast, including Rumney Marsh. Melting, glacial ice raised the level of the ocean submerging coastal areas. This glacial melt water also washed sediments toward the coast. Sand traveling down rivers and creeks was pushed along the coast by wind, waves, and currents, creating a barrier beach at what is now Revere Beach. Once the beach was established, it acted as a buffer between the ocean and the area behind it. Now sheltered from the full force of the sea, mud flats became established. At some point marsh grass seeds, possibly transported by birds from warmer southern marshes, sprouted at the water’s edge where the tides covered the ground less than half the time. Eventually these thick Cordgrasses spread. Sediment and debris floating in with the tides became trapped by the marsh grasses building up the marsh. For hundreds of years, successive layers of dead plant material and sediments formed into a peat. Scientific dating of this material estimate that marshes of the Northeast became established about 3000-4000 years ago.